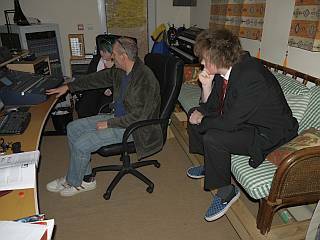 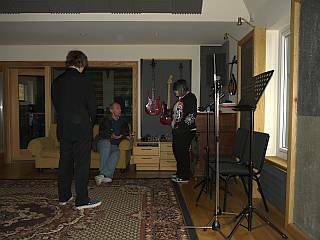 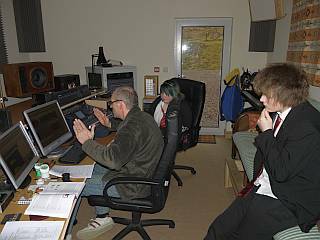 Here we have two S6 pupils (one taking the Sound Engineering and Production option of the old ‘Music with Technology’ Higher) on a visit to Nick Turner at Watercolour Music in Ardgour. 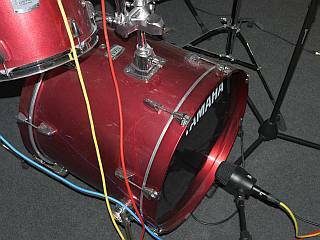 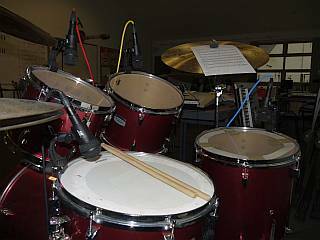 Electronic drum kit, guitar and bass. 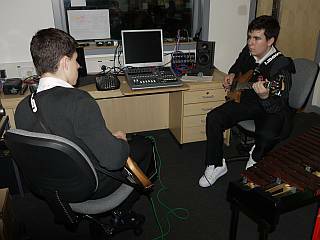 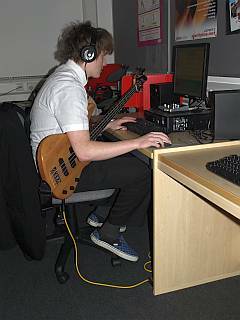 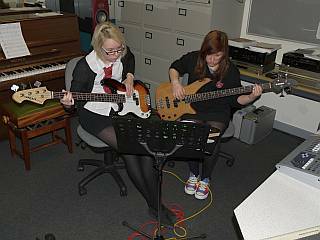 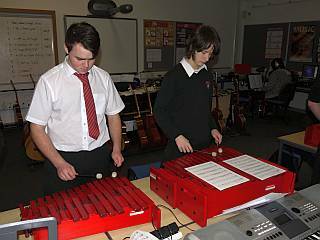 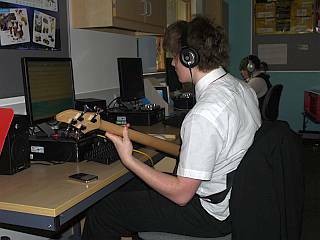 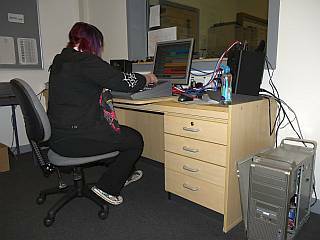 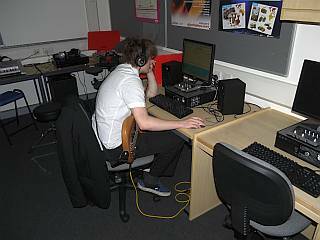 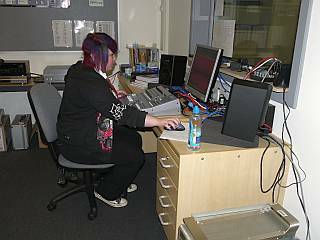 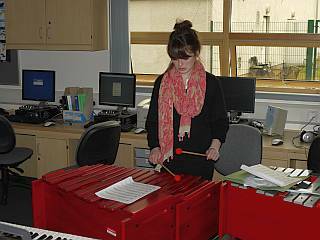 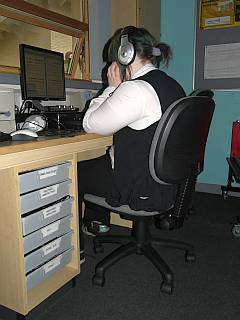 Two pupils using Sibelius, one with bass guitar for testing. 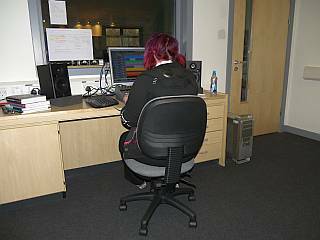 A rare view of the recording room with MDF support for the Yamaha 01X before the whole worktop got extended as shown in the other ‘technology’ photos below. 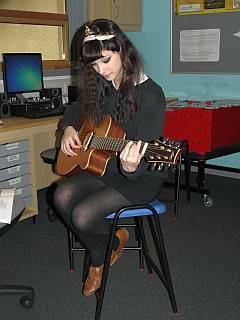 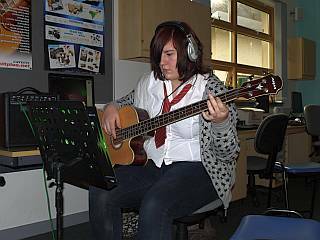 Acoustic bass guitar and tuned percussion. 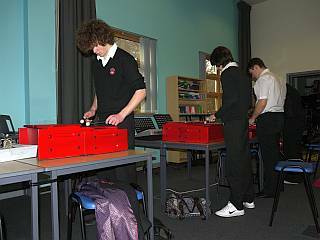 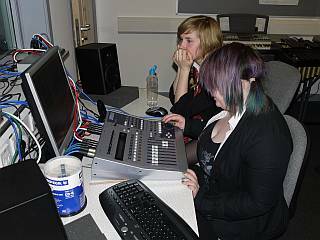 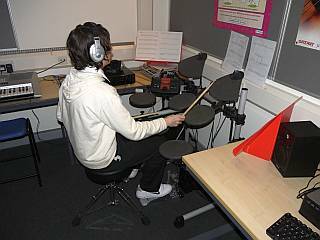 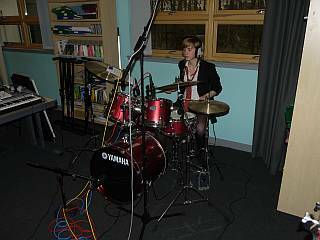 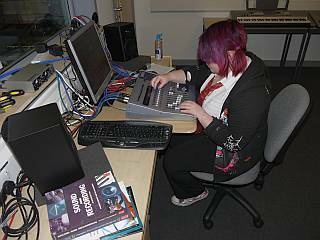 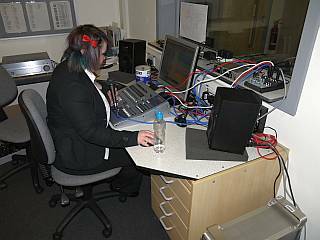 Here we see an S6 pupil recording an S3 pupil on drums for a multitracked rock group recording. 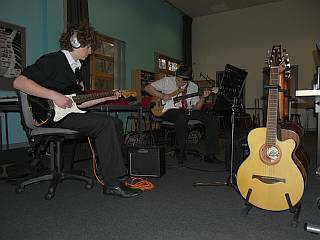 Electro-acoustic guitar and left- and right-handed basses.